A strict number of 30 pairs will be available as Oliver Sweeney build on their original collaboration with the American selvedge denim brand. Oliver Sweeney are to build on the success of their first ever denim jeans collection, in collaboration with American selvedge jeans manufacturers Billiam Jeans, by releasing a strictly limited edition range of black selvedge denim jeans. As with their original collaboration, each pair is made with a classic and extremely rare 1940s Union Special 43200G hemming machine, which torques the hem in a way that will create a unique fade over time. The result is reminiscent of Sweeney’s use of antiqued leathers on their shoes which create a beautiful patina unique to your wear. For Mitchell, this new range extends his love for all things selvedge. 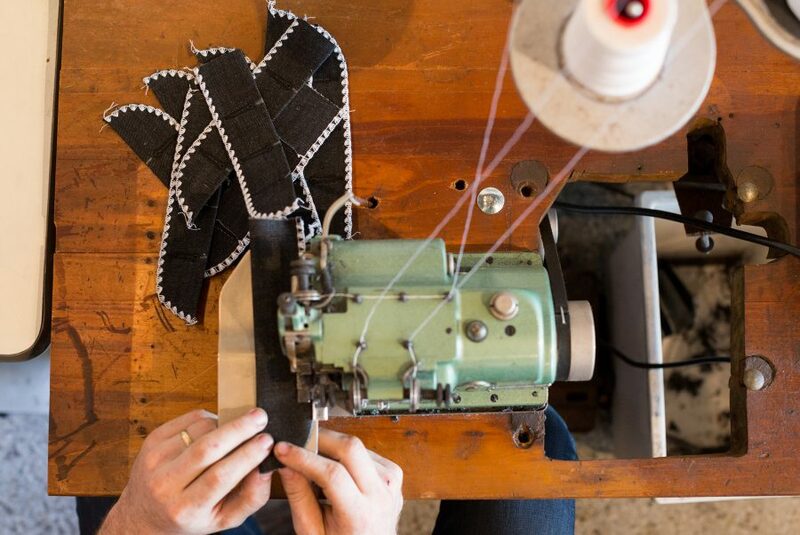 After teaching himself to make jeans through mere trial and error (the “old school way” as he likes to call it) his work reached a near 400 person waiting list.